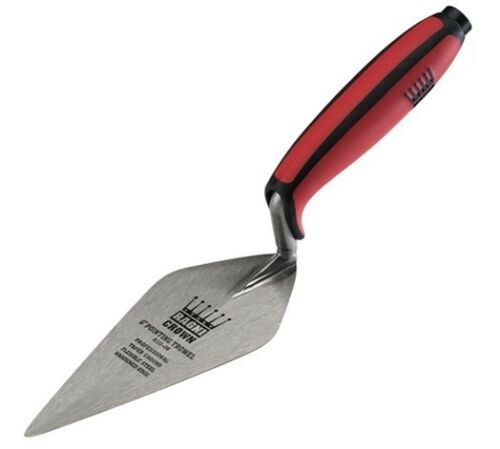 Brand New Ragni Crown Pointing Trowel Professional London R111-06 London 6in The Ragni R111 Professional London pattern pointing trowel has a hold-fast, non-slip comfort grip and ergonomic handle for day long comfort. It has hardened edges for longer life, and is well balanced and easy to use. 3-year guarantee.